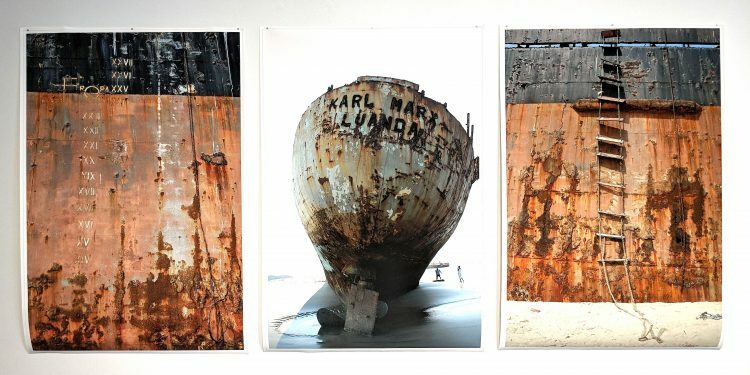 Karl Marx, Luanda (2005) by Kiluanji Kia Henda. Photo courtesy of the artist. This year marked the 200th anniversary of the birthday Karl Marx, a fierce critic of capitalism. In an effort to think through the legacy of—and the possible futures of—Marx’s influence, the Humanities Center at Carnegie Mellon University hosted Marx@200, a program of more than two dozen lectures, performances, panels, and film screenings. In addition, my colleague Susanne Slavick, the Andrew W. Mellon Professor of Art at CMU, and I curated a Marx commemorative art exhibit in Pittsburgh’s SPACE gallery that included works by 41 artists from seven continents who addressed Karl Marx directly as well as his favorite themes: anti-capitalism, labor, inequality and revolution. Marx@200 took an army to implement, but it started it out as my idea. It was an idea born in the spring of 2011 when I realized after talking to a journalist about the centennial of the Triangle Shirtwaist fire that journalists love anniversaries. In that moment I started noodling around on the Internet and I discovered that Henry David Thoreau, Mary Shelley’s Frankenstein, Frederick Douglass and Karl Marx were all getting ready to turn 200. My somewhat harebrained idea was to use the bicentennial of Karl Marx—a political figure mostly reviled in the U.S. for most of the twentieth century—to gain national, and maybe international, media attention for the work of the humanities at CMU. My misplaced hope was that I could make Marx@200 go viral. Marx@200 has now come and gone, and it did not go viral, but it did lots of other things, and it has me reflecting on the experience. I’ve learned that there are certain formulas for commemorating Karl Marx—as well as some larger lessons about the politics of commemoration. Lesson #1: Commemorations are usually hometown affairs. The longest, largest Marx commemoration in the world was organized in Trier, Germany, where Marx was born, including this exhibit titled, “Karl Marx 1818-1883. Life. Work. Time.” Beyond Trier, there have been 200th birthday commemorations throughout Europe, including a conference in Berlin organized by the Rosa Luxemburg Foundation, and in London, a series of events organized by the Marx Memorial Library. In North America Marx’s birthday has been marked by a few scattered symposia and conferences, including York University’s conference on 150 years of Marx’s Das Kapital and the Goethe Institute’s year of Marx. Lesson #2: Commemorations require a collective. In fact, every solo attempt I made to secure funding for and/or a venue for Marx@200 art exhibit failed. 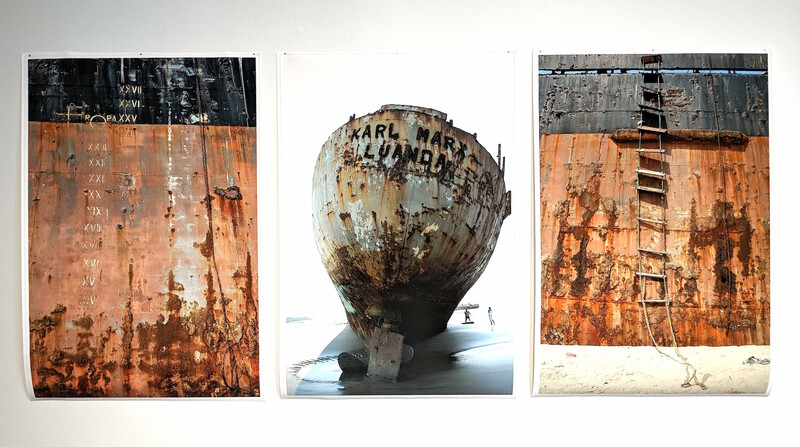 Before I began working with Susanne Slavick in April 2017, my proposal for an art exhibit that featured Karl Marx was turned down by four Pittsburgh art galleries. In addition I was rejected from nearly a dozen grants and fellowship applications, including three NEH fellowships. After Slavick joined the team we were able to find the perfect gallery for the exhibit, and we got one of our first and only grants for the exhibit from a special SEED fund for community projects at Carnegie Mellon. In the end, Marx@200 was run collectively by a group of CMU faculty and PhD students and depended heavily on the staff of the Humanities Center as well. Lesson #3: Different historical figures have different ready-made commemoration narratives attached to them. For Thoreau’s 200th birthday the narratives focused on his contributions to present day environmentalism; the 200th anniversary of Mary Shelley’s Frankenstein focused on the dangers of near-future science, particularly AI. The narratives attached to Frederic Douglass’s bicentennial were narratives about his withering critique of the hypocrisy endemic to an American freedom that embraced slavery. For Karl Marx, from January of 2018 to his birthday on May 5, the most common narrative to emerge was the ironic recognition that Karl Marx is for sale! The Marx extravaganza in Trier, Germany provided the primary fodder for this narrative, with stories about the Trier traffic lights that were changed to feature impish red and green Marx figures for “stop” and “go.” Dozens of news articles were written about Trier selling Marx-shaped rubber ducks and a Zero-Euro currency with Marx’s face on it. The Guardian published several light pieces on British commemorative events, such as the London pub crawl organized to give tourists a taste of the places Marx used to get soused. In the mostly international coverage of Marx’s birthday, another narrative that emerged was: Karl Marx is a lightening rod for controversy. Many of these articles centered on reactions in Germany to a statue of Marx given to Trier by the Chinese government, while others argued that Germany was still divided about Marx’s legacy—even though decades have passed since reunification. Another narrative that emerged was: Marx is responsible for the twentieth century victims of communism. According to this logic, Marx’s ideas carry violence, like a germ. There are several political institutions that have worked hard to craft this narrative, but the central organization is the Victims of Communism Memorial Foundation (VCMF). The VCMF held a two-day event on the Washington Mall in November 2017, and affiliated intellectuals have been placing articles and opinion pieces in right-wing publications like the American Spectator as well as in mainstream outlets like USA Today. The least common narrative to emerge was: Marx is still relevant! This is certainly the narrative that I was going for, and it was also exemplified by the scholar Jason Barker, who created the Karl Marx forum for the LA Review of Books and published, “Happy Birthday Karl, You Were Right,” in the New York Times, on April 30, 2018, six days before Marx’s birthday. Other similar pieces appeared in the Economist, the Washington Post and the Los Angeles Times. Because of these four narratives the media coverage of Marx’s birthday has been constrained, hemmed in by irony and triviality on the one hand (wouldn’t Marx just hate those ducks made to look like him? ), and unresolvable controversy on the other (Marx had violent ideas but Marx cared about the working class; Marx had the soul of a murderer but Marx was the greatest philosopher of anti-capitalism ever; etc., and so on). Outlining and understanding these narratives has helped me to come to terms with our efforts via Marx@200, and has led me to three final lessons. Lesson #4: Commemorations are historically delimited attempts to reshape history itself. In the spring of 2011, as I began to plan a Marx bicentennial, I assumed that there was a random quality to my choice. Using Marx’s birthday, I reasoned, I could organize events around a cluster of my favorite topics: labor, culture, politics, capitalism and representation. Lesson #5: If it is media attention you seek, try running for office and winning. Marx@200 was a great success by many measures, drawing thousands of attendees to our many lectures and events, including the two-month art exhibit at the SPACE gallery, and generating many important conversations on the CMU campus and beyond. But Marx@200 never went viral. It never gained national or international media attention. Instead, when the national spotlight came to Pittsburgh in May of 2018 it was because two socialist political candidates, Summer Lee and Sarah Innamorato, won their respective elections for the Pennsylvania State House. Their victories were notable because they both beat middle-aged white Democrats, who each had the surname Costa. But more newsworthy was the fact that Lee and Innamorato were backed by the Pittsburgh chapter of the Democratic Socialists of America. Eliza Griswold, writing for The New Yorker published two stories on Lee, the African American candidate who won her primary, and news of the DSA-backed candidates spread from left-leaning publications like Mother Jones and Democracy Now to The New York Times and CNN. The narrative of most of these stories has been: Socialist candidates win! Every article has given credit to the DSA for supporting the candidates by going door to door to get out the vote. Corey Robin, my former Yale graduate school colleague/grad union comrade, visited Pittsburgh in March to talk about his revised edition of The Reactionary Mind in the era of Trump. During his visit Robin met with DSA members and came away impressed. Lesson #6: Anniversaries and their corresponding media cycles are short. If you are planning a commemoration of your own, be ready. Especially now, as Trump dominates the news cycle day after day, when the blessed date arrives for your commemoration you only have a few weeks, and maybe only a few days, to tell your story. As I reflect on the experience and the achievement of commemorating Karl Marx I can assert: Marx@200 was worth it. Culture is important. Culture is not the same as politics, but it cannot be separated from politics either. On the other hand I am both surprised and hopeful that actual socialists are garnering more attention than CMU’s long and labored tribute to one of socialism’s foundational theorists. Socialists across the country are winning, and I’m definitely not tired of it yet. Kathy M. Newman is professor of English/Literary and Cultural Studies at Carnegie Mellon University. Her current book project is How the Fifties Worked: Mass Culture and the Decade the Unions Made.